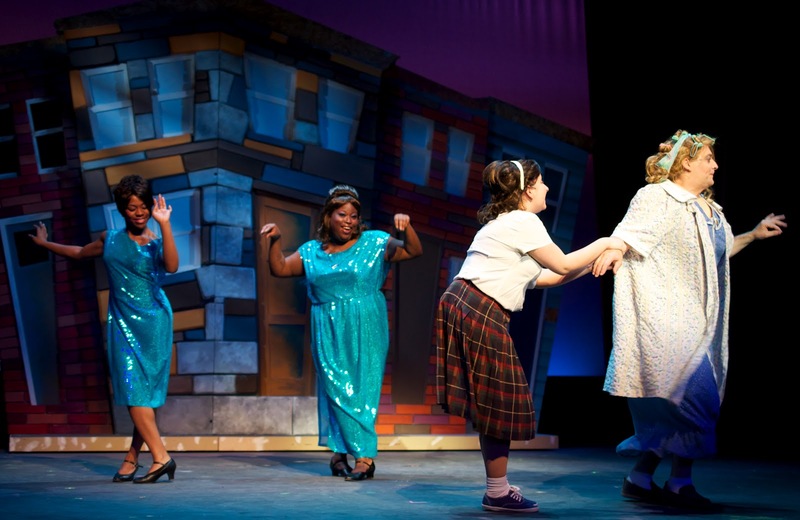 Here are some fun facts we dug up about some of the Hairspray cast members. A full cast list is available here. Drew Frady (Edna Turnblad) can juggle, eat fire, and tap dance (source). Andrea Rutherford (Tracy Turnblad) was captain of catering events for Obama and the Queen of Denmark. Ilana Bruce (Little Inez) is one of five alums from the FAC Youth Repertory program. Carmen Vreeman (Penny Pingleton) has been on this blog before, in 2009! Lacey Connell (Amber Von Tussle) can do impeccable child impersonations (source). Marco Robinson (Link Larkin) works as a tap dance instructor at The Ballet Society of Colorado Springs (source), and takes amazing photos. For an example, see his Facebook album of the FAC's Resilience show, Within/Without. Go behind the curtain and learn how the magic happens onstage with a focus on design elements.